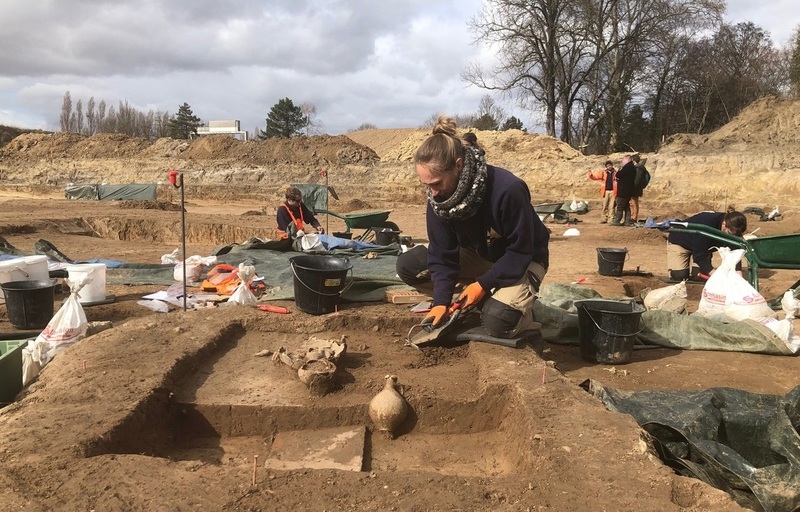 A previously unknown Roman cemetery has been discovered by archaeologists in northeastern France. 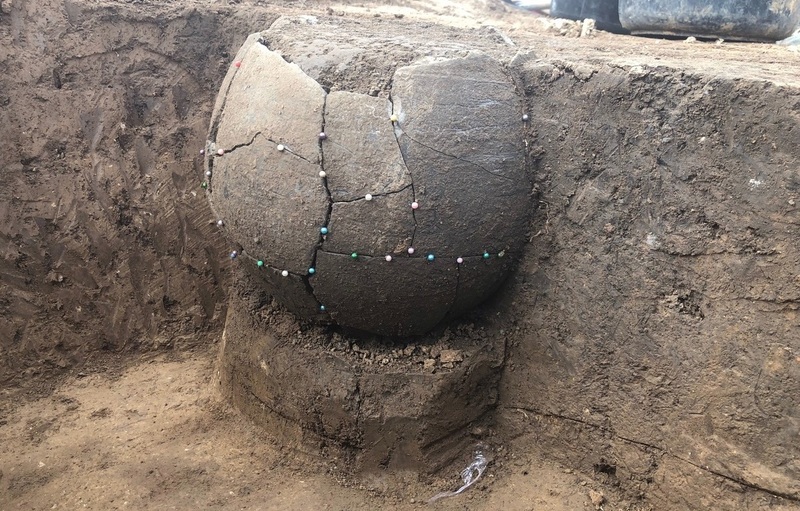 Scientists found funeral urns, as well as offerings and unusual evidence of cremation bonfires at the site in Strasbourg, which is being examined before planned work on a 1.7km extension of the city's tram network. 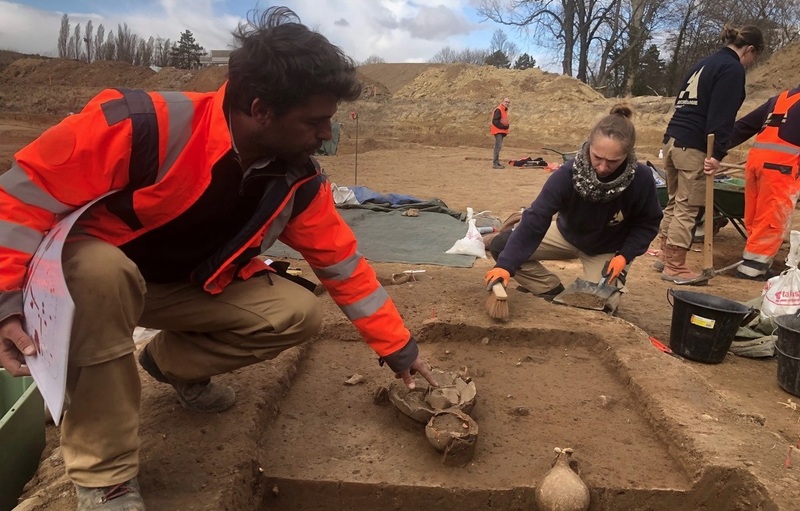 Further excavations at the site - near the well-known Roman road close to the Koenigshoffen district of Strasbourg - as well as other areas along the proposed route are now being arranged before work commences in June. 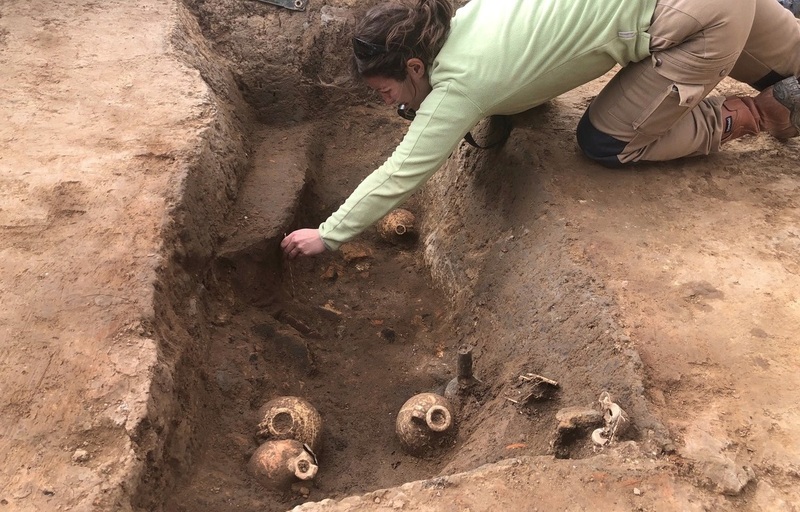 Previous excavations along the planned extension of the line have uncovered two funerary stelae, five pottery kilns, latrines and cellars, but this new discovery was not expected. It is believed the cemetery dates back to the 2nd century. No skeletons have been found, as the bodies were cremated - but finding evidence of the pyres has surprised experts. "Generally, there are no cremation pyres," Mathias Higelin, the archaeologist responsible for the excavations told 20minutes.fr. "They are destroyed after the body is destroyed, but here some pyres have been used as graves. "At first, archaeologists thought they were clearing pottery kilns, but the walls were hardened to a depth of more than one metre and above all there were funeral urns with bones." By 2020, the site will be a 320-place car park and a station on line F of the city's tram network.